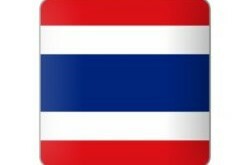 As a Singaporean you can enter Thailand without a visa for 30 days with the visa waiver program. 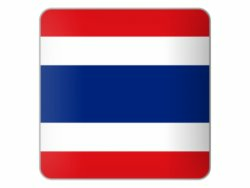 Since 2016 however you can only enter Thailand without visa through land border checkpoints only twice a calendar year. This is important if you are going to go through the Hat Yai immigration point by land through Malaysia or are going to backpack through Thailand. Note also that for on-arrival-visa tourists, they must be able to prove that they have adequate finances equivalent to at least 10,000 Baht per person or 20,000 Baht per family. This is very rarely asked for proof. For the Retirement Visa Application you will need to provide proof of 800,000 THB in your bank account as proof of funds so you will need a bank statement and a letter from your bank. You will also require a doctors certificate to show that you do not have a prohibited diseases such as (leprosy, Tuberculosis, Elephantiasis, drug addiction, third phase of Syphilis). This cannot be older than 3 months. You will also require a criminal record check which also cannot be older than 3 months. Permanent residents from Singapore will also be required to provide their Singapore Blue IC and Re-Entry Permit Form 7. Note also that you will need to be over the age of 50 for this visa. Visa Application fee: S$250 for Multiple Entries valid for One Year.